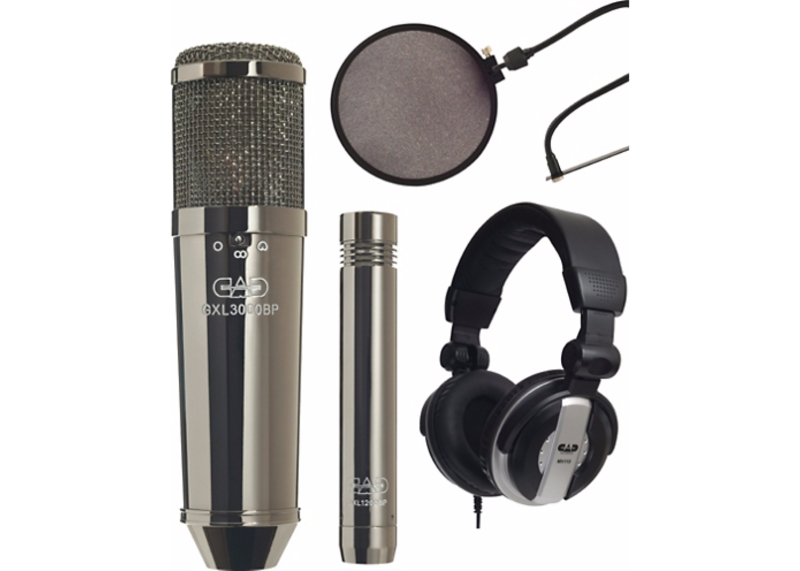 A money saving bundle with two great multi-purpose mics. 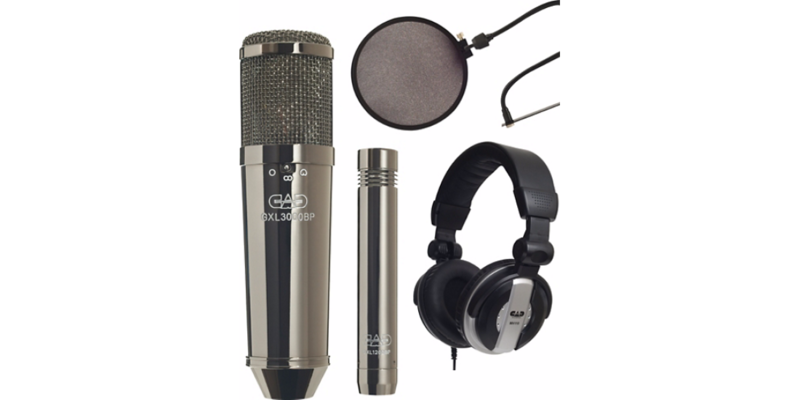 The CAD GXL3000BPSP Studio Pack contains one GXL3000BP Multi-pattern Condenser, one GXL1200BP Small Diaphram Cardioid Condenser, one MH110 Studio Headphone, and one EPF15A Pop Filter. Shock mount and mic clip are included. P48 (48V) phantom power is required. The CAD GXL3000BP is a large diaphragm multi-pattern condenser that is born of precious metal and pure electricity. Tune two golden membranes intimately across polished bass and inject electrons with oscillatory high tension. Drive emotion across copper and iron by field-effect detection. Features include hi-pass filter and attenuator. Elastic shock mount and protective pouch are included. P48 (48V) phantom power is required.